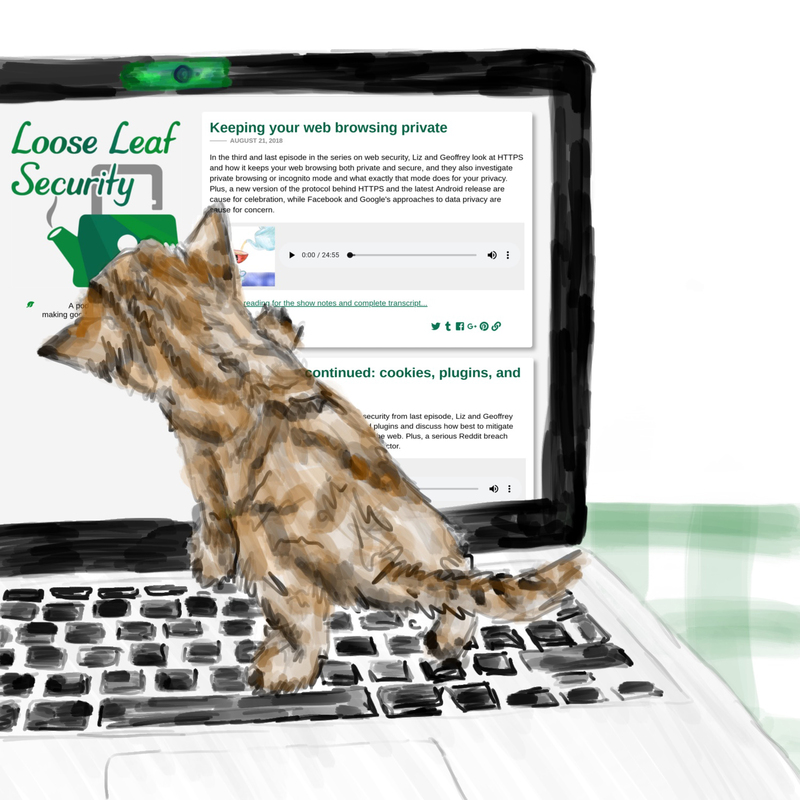 New Loose Leaf Security episode: security stories! 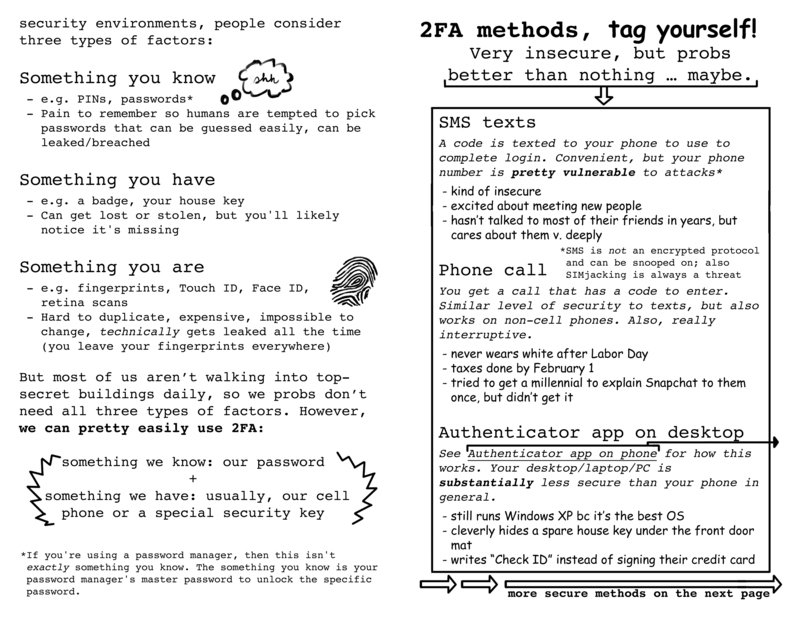 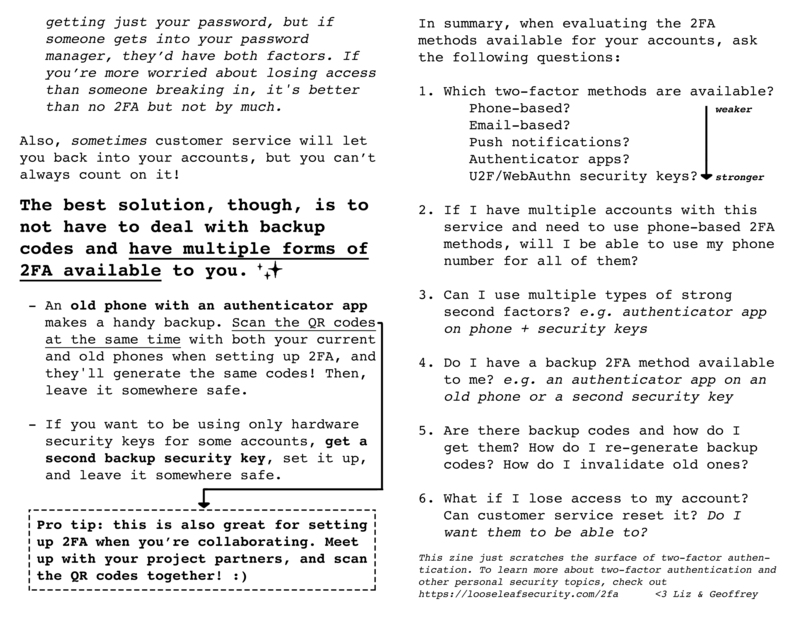 Plus, a 2FA zine! 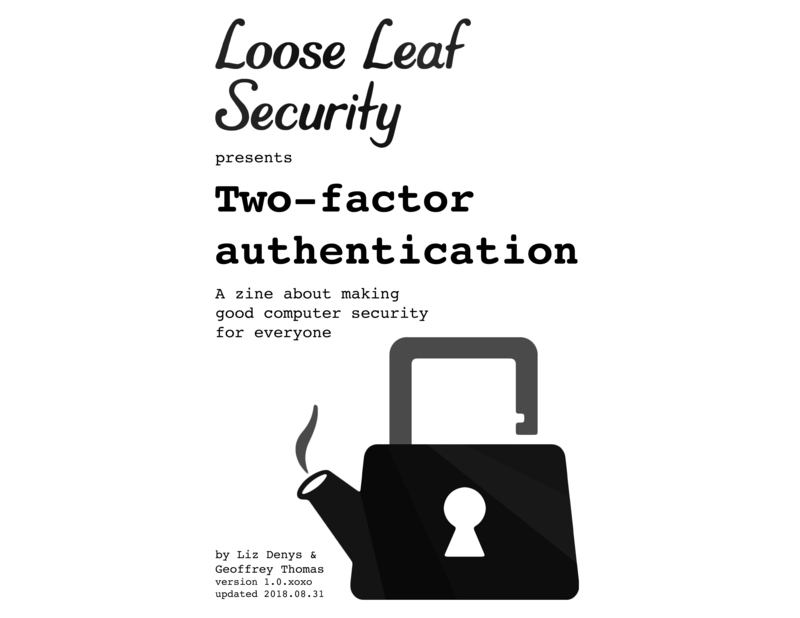 As a change of pace, Liz and Geoffrey take a look back at security incidents in their own lives and talk about lessons they've learned - why phone backups are important, an unintentional security hole, and a security key gone rogue. 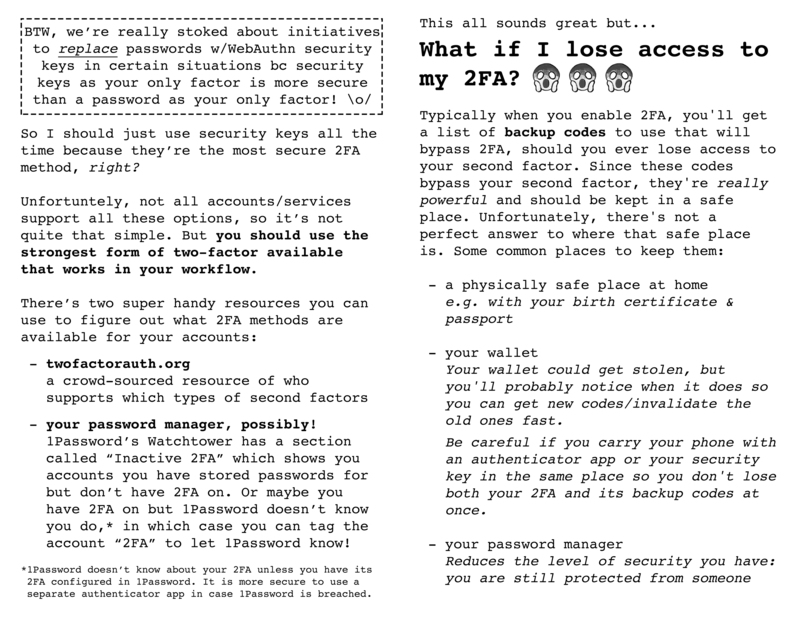 In security news, the GDPR results in mildly positive changes for web tracking, and Fortnite's installer has exactly the vulnerability we were afraid of. 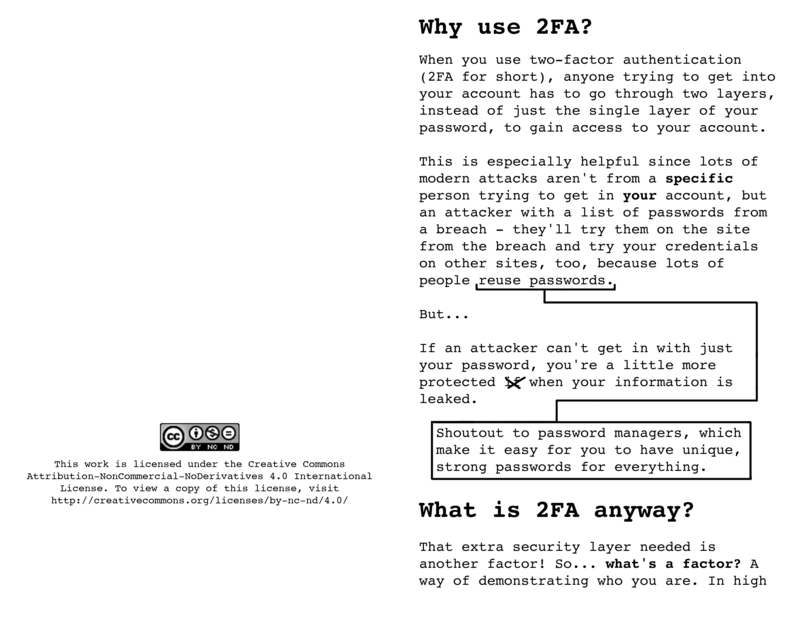 It's licensed under the Creative Commons Attribution-NonCommercial-NoDerivatives 4.0 International License, so you can copy and redistribute this zine in any medium or format. 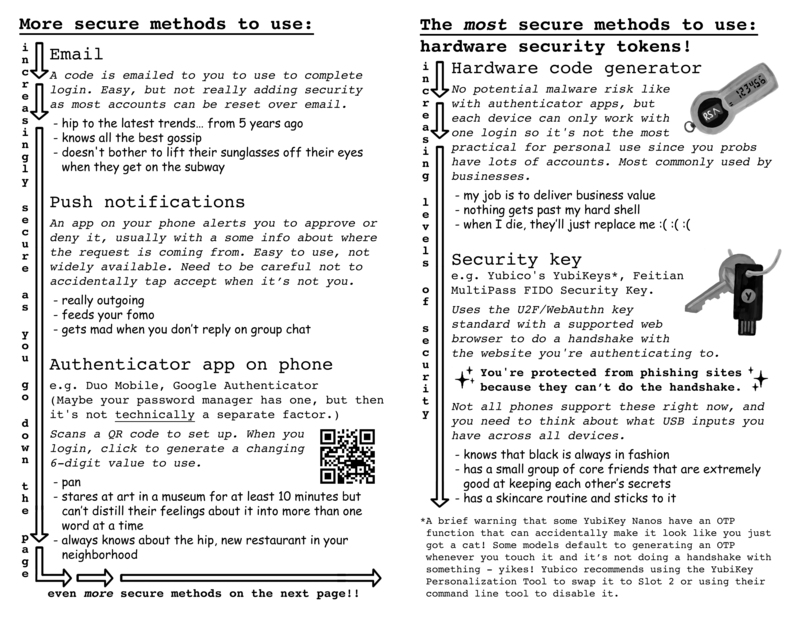 Feel free to download our zine for printing (8.5"x11", double-sided on the short edge and folded down the middle) or get the copy that's easy to view online or on your computer!